BHMS (Bachelor of Homeopathic Medicine and Surgery) is an undergraduate degree programme in medical field. This degree covers the medical knowledge of the homeopathic system. After completing this degree you are eligible to become a doctor in the homeopathic medical field. The degree holder is eligible to have the prefix as a doctor, the abbreviation is Dr.
Homeopathy is the system of alternative medicines. The patients are taken care by enhancing the natural healing power of the human body. 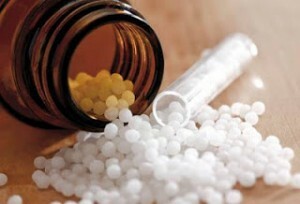 The concept of homeopathy is that the body rejuvenates itself because of its self-healing power. We just need to help it by enhancing the natural healing power. “Homeopathy is the holistic medical system which is involved in the treatment of patients with the high dilutions of the homeopathic medicines mainly in liquid and tablet form, which enhance the body’s natural healing system”. Homeopathy is the third popular medication system in India, after the allopathic and the ayurvedic system. According to this system the emotions, mind and body are interlinked and remedies which effect on them will seem to fit for the patient. The person got sick or have a disorder if he is out of the harmony of the above three. The homeopathic medicines are given to the patient as per their physical symptoms, emotional problems and their lifestyle. And the best part of this medication system which makes it valuable among the others that there is no side effect on the body with these medicines. These days, homeopathy medical studies are being adopted very fast by the young students’ generation among all medical courses. In India, there are numerous colleges and institutions offering the range of academic programmes in the field of homeopathic system. There are diplomas, undergraduate and postgraduate programmes in this field. Bachelor of Homeopathic Medicine & Surgery (BHMS) is an undergraduate degree course in homeopathic system. This degree is awarded after the completion of 5.5 years academic programme containing the 4 and 1/2 year academic session and one year internship programme with live practical. The undergraduate programme in homeopathic system can be pursued through the distance education system. The basic requirement for the eligibility to get the admission to BHMS programme is qualifying the 10+2 examination with 50% marks. The candidate must have the physics, chemistry and biology in 12th class. The candidate should have to go through the different national and state level entrance examination. The candidate should have minimum 17 years old. Some states conduct the entrance examinations along with the MBBS and BDS test. The career opportunity after the completion of BHMS is not only in India but also in abroad. Many organizations are working in the manufacturing and research field in abroad are requiring the professional in this field. The candidate having the BHMS (Bachelor of Homeopathic Medicine and Surgery) degree is eligible to be called as a doctor and eligible to do the private practice. A homeopathic practitioner may look the career as a medical representative or as a doctor in private or government hospital. The professionals in this field can work in companies those deal with the homeopathic preparations. He/she may get the job in homeopathic colleges as a professor or the researcher. A large number of people are not satisfied with the allopathic treatment. This gives the birth to the alternative or ayurvedic treatment. Many people are looking for the complete cure of the disease and move to homeopathic doctors, because this medication system has no side effect, and this factor encourages to the homeopathic graduates to open or establish their own clinic for self practice. The medical field is the benchmark among the other fields in order to the salaries. Homeopathic field also owes this regard. In government sector the salary of a homeopathic doctor is Rs. 25,000 to Rs. 35,000 per month while in the private sector the salary starts from the Rs. 20,000 per month. With some experience, one can get the handsome salary like Rs. 40,000 to Rs. 50, 000 per month. There is no limit of salary if you have become popular as a good doctor in the society. For any other queries related to Career in BHMS, you may leave your queries below. Hi i introduce myself im mahseena ,passed plus two sciece with 78% .if i got govtnmnt seat for this % ? Or private hw much the fee structure.will yuh hlp me to knw this doubt .reply me eagarly! visit to BAMS and BUMS. After 12th which field is better? Homeopathic or vatenari. You can go for Homeopathy or Veterinary.. Veterinary is better because of its employing ability- as the students are in few numbers,so a veterinarian can get a job more easily than a Homeopath. But Homeopathy is far more interesting subject . You can also get jobs with this too-but chances are limited. If once your private practice be clicked, then you will be very satisfied cause of its huge return- economically, socially and mentally too. Whatever you will do, must do with loving nature- only then you will be successful. I would like to know ,if there will be less than the eligibility marks of 1 or 2 marks ,Is ,there any chances of getting admissions. Sir, I pass out 12 this year and become a homeopathy doctor. Please give me best tips for next step. you can apply for AIPMT or NEET Phase 2 exam. Score good rank and enroll yourself in any good medical college. which college offer BHMS by distance education in Homeopathy ? which college offer BHMS in Homeopathy ? hllo ! I want to be doctor.. but now i had done my bachelor degree in medical imaging.. so can i do bhms diploma . Is it bttr scope? Sir I had completed BSc biotech so can I do diploma in homeopathic???? yes you can pursue this. I have qualified 12 from art side, Can I do any homeopathic or accupressure course? Sir please tell me that is their is any common entrance test for ( bhms)degree for homopathic doctor . Please sir tell me. You can check information regarding entrances exams from here Medical Entrance Exam 2016.
yeah you can do so. Iam 48 yrs old .I want to learn BHMS through distance Education. Not available through distance in India. I am working as manager in hospital since last 6 years,but these days all the kinds of doctors and physiotherapists coming into management gives a fair competition to the non medical management professionals. Can i pursue some course at distance learning for granting a doctoral degree? and what you think about it? yes you can do and beyond this you can do MBA in hospital management. What is query?? Can you Elaborate. Sir,I want to know after completing BHMS,how can I go into research,teaching and psychiatry field. do i have to give AIPMT for bhms or any other entrance exam ? i am repeating class 12 from state board(MP) and i have choosen biology as an additional subject. Am i eligible for BHMS course? My subjects are PCM and Biology as additional subjects. sir I joined bhms college in mp but some people confusing me that bhms hear not good scope what can I do ? Yes, you can check the information from the above article..
Bhms is much better than than bparma. There are many short term or diploma courses offered by various institutes in the country, but the most recognized course is BHMS and after completing that you can practice as an Homeopathic doctor, while for other distance or diploma courses I’m not sure bout their authenticity and whether they are approved by IMA or not. Please tell me that after compiliting Bhms hoe I get govt. Job of attest gud sellary. sir, I have got rank -78 in bams ,bhms in sc kota , so please inform me sir can I get a seat in either of courses…. What is the cut off rank for homeopathy in Eamcet?? I am physiotherapy complete 2010 so I can join bams or bhms course please inform me. you can join if you’re under the age eligibility criteria. How much get the job opportunaty in GOVT. Hospital after completing the BHMS COURSE ? Can i do bhms after diploma engineering? BHMS can not be pursued through Distance Education or Correspondence. There r no courses except BHMS valid in our country. Thanks, for very very correct information . what is the salary for bhms doctor?? is there any government job for bhms??? Is there is govt. Jobs for homeopathy Dr. in India? Is delhi univesrity held entrance exam for BHMS cource? I got 181.75 cut off in t.n board exam .will I get government homeophathy college? What is the cut off for bhms 2015? I waiting for your reply.thank you! Great information. Thanks for the efforts. I passed 12th science..i want to take b.h.m.s course..i have get 67%. Can i do thia course?? ?n which college is best for b h.m.s in gujarat?? Many college of b.h.m.s in gujrat..if u want a good college than u should be preparation of competition of b.h.m.s….in a good coaching center..
sir,pls tell me,How to aply to admission in Homeopeathy medical college? wat r d marks reguires to get into bhms? 50% marks are required for the getting admission in BHMS from Nehru college. Which exam i have to write to get a seat in bhms? 50%mark is required for admission in BHMS. what is the cut off mark to join BHMS.. where i will get a application form to join government college..
What to do before B.H.M.S. I ,BSc graduate, retired from service at age 60yrs. I want to learn homoeopathy through distance learning system. In early education life I got admitted in Homeopathy college and read for two years. Then I went out of station with a job. Now I want to start again. Please tell your advice. The courses are available through distance mode, but not sure whether they carry any significance or not. Their are either diploma, UG and PG courses, which are considered authentic and has importance and also validated by the government. How much salary is for bhms Dr in government hospital? Sir, I am 42years old housewife and I am post graduate from Kanpur University (UP). I want to know that how can I do homeopathic course to serve the needy peoples and what are the fees structure and duration of course for me. There will be some short term courses in Homeopathic science which you can learn, these courses may available to you in distance mode as well. sir, i am 23 years old house wife i am graduate from kakathiya university from warangal telangana. i want to became a homeopathic docter so pls help me tell me the process. How to differentiate between homeopathy and herbology?